A great activity book that you won't want to PASS OVER! Hours of enjoyment for kids ages 5 to 12! 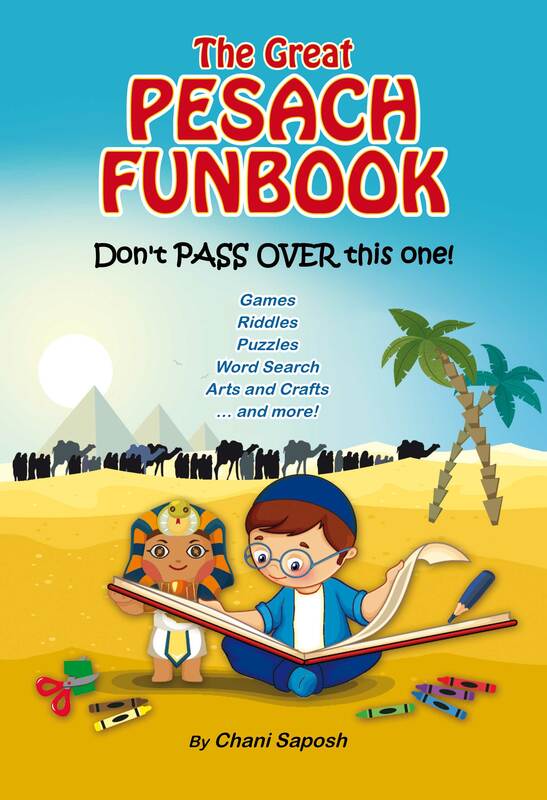 The Great Pesach Funbook makes it SO much fun for kids to be part of the excitement before and during Pesach. Keep your younger children busy, happy, and entertained while you and your older children are busy preparing. With over 30 games, riddles, puzzles, mazes, fill-ins, crafts, recipes, and much more, the kids will have loads of fun this Pesach!